Being a confident woman is not that easy. Society creates stereotypes and taboos for women all the time. So, learn how to overcome them! Those who never underestimate the role of women admit that; “a strong woman stands for herself, a stronger woman stands for others”. Pretty inspiring and there are a lot of such quotes. Women power is more than about being beautiful, gentle and whatever. Anyway, this power is impossible when a woman is not confident or has a low self-esteem. Only a confident character stands behind a powerful woman. However, being a confident woman is not an easy task. If you face the same issue, here are several quotes from famous people and must-read-books to inspire you. Besides, you can also enjoy the list of steps of being confident and keep believing in yourselves. It goes without saying that nothing is much more beautiful than confident women. She has no need to pretend, lie or avoid any communication. You see, the most popular people think the same way as well. So, what is confidence and why is it so important for women? First and foremost- it is the feature that makes a woman that “it girl”. This is something that is preached quite frequently in various quotes, books, movies, and songs. Besides, being a confident woman is about being a confident mother. This has a huge social impact. Think about it. An educated, confident woman with higher self-esteem will definitely bring up children with the same characteristic features. It will make good for the world. Now consider that you are shortlisted and have to go for an interview for your dream job. You are worried, definitely. And it is natural. But everything changes at once when you enter the room of an interviewer who is smiling at you. You feel how confident he is and gain the same immediately. After all, you get the position just because you managed to be confident and convincing. Remember, confidence is a value that keeps others believing in you. Being a confident woman is much more important. Such women never fish for comments and approvals. They are trustworthy, supportive and independent. I can bet such women are more than precious. They make societies safe and sound, don’t they? The American novelist Sylvia Plath was sure that “The worst enemy to creativity is self-doubt.” It is right because the lack of self-confidence and low self-esteem kill your valueless ideas. Are controlling. It seems to you that your absence will make some difference or you will leave out something. This is why you try to take the situation under YOUR control. Overreact to anything. In this case, you can’t do without high dramas. You tend to humiliate others and hold a grudge. Avoid direct eye contact. While talking you hide your eyes, look up or down but not at the speaker. Lack the ability to make decisions. Your ideas and thoughts do not seem that convincing or precise and you seek help in others. Apologize endlessly. Probably you are afraid of doing or saying something wrong so to compensate you apologize all the time. Have you seen yourselves in the above-mentioned symptoms? If yes, do not freak out or look for psychologists to solve the problems. Solutions for being a confident woman are right at your nose and personal psychologists are at your disposal anytime you want. Can you look for someone close and dear than a supporting family member or a friend? You can’t, indeed. These people are ready to listen to your complaints and help you if needed. Listening to your family or a friend is very important. They can share a precious pair of advice or stories to help you. The thing is that it can be very upsetting for them to see you hopeless and anxious. For the people who love and care about you, seeing you struggle with anxiety every day can be very difficult. Friends and family usually want to help you to deal with it. So do not hesitate to turn to them when needed. Our physical beauty is just one slice of the pie that makes us truly beautiful. So how about other slices? I haven’t pondered over others but I can truly announce that confidence makes another slice of that pie. It has a huge impact on the way we- the women, enjoy life. You can believe it or not but our confidence and happiness subconsciously affect others as well. Being confident women ain’t easy but here are some steps to make it trouble-free. Being confident have never been so easy-breezy! All of us have dreams. But be frank, ladies, not all of us dare fulfill them. Why? Because of fears and lack of self-confidence, of course. Be bold and dream big! This is what being a confident woman means. Chase your dreams and goals. Challenge yourself to make them come true. Are you that sluggish to miss every good chance that you get? If you are, then you truly show singes of self-doubt. Confident women never do it. They are so hard-core that manage to do everything they need without any lame excuses. So, stop being lazy and grab your opportunities. Waiting for someone to fill in the application for your dream job? You are wasting your time because nobody will. To put it simply nobody cares. You are the one to travel through the path designed only for you. The only thing you can rely on is your self-confidence. Being a confident woman exclude any judgments about others. Insecure people usually judge and criticize others to keep the spotlight on themselves and prove they are the ones to be praised. They focus on nothing else than inward. Do not do it, ladies. Focusing outward will help you to see the beauty in others. You will be able to share happiness and joy with them. Confident women do not prove it. Their looks and manners speak instead. So they do not have to tell stories about it. Besides, they are good listeners as well. If she shows how curious she is and asks questions the other speaker feels comfortable as well and opens up. One of the most common quotes shares: “Behind every successful person there is a success story“. The same goes for confident women as well. Every confident woman has an inspiring story behind. That stories can be personal ones or found in books. If you are excited to learn about some of them here is my list of books on being a confident woman. One of the primary peculiarities of confident women is that they don’t say yes unless they want it. This book is a collection of essays right on this topic. Through jokes, the author tells how it feels to be a confident or successful woman. Biographies and personal experiences are more convincing. So if you share this idea you’d better read “Almost famous women”. The book shares the stories of women throughout world history. Their confidence and independence turned their lives into inspiring life experience for others. I found I was more confident when I stopped trying to be someone else’s definition of beautiful and started being my own. However, there are cases when women really feel freaked because of their appearance. This makes them powerless and insecure. 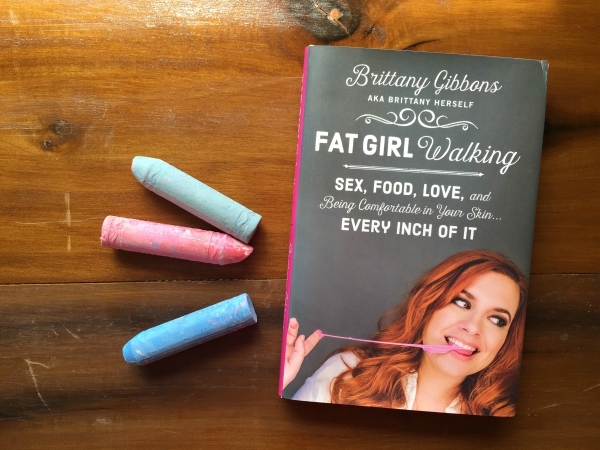 To abolish this idea you’d better read “Fat girl walking”. It will tell you how to feel comfortable in your skin. You won’t find something more inspiring. Why Did Hillary Clinton Lose the Election? Maybe the US is Not Ready for a Female Leader? Can that Be the Reason?